On Tuesday, the Armenian Youth Federation – Western US announced the release of its 2010-2011 Annual Report. The report details the activities and programs carried out by the AYF on a local, regional, and international level. Spanning the organizations activities in the 2010-2011 fiscal year, the 12-page report covers such initiatives as the Little Armenia Beautification Project, the campaign against Kobe Bryants deal with Turkish Airlines, the One Voice, One Cause Youth Rally, and this past summers expansion of the Youth Corps program in Armenia, among others. This year’s report also includes visuals documenting different aspects of AYF membership, including graphs showing the age breakdown in the western region as well as the chapters to which members belong. 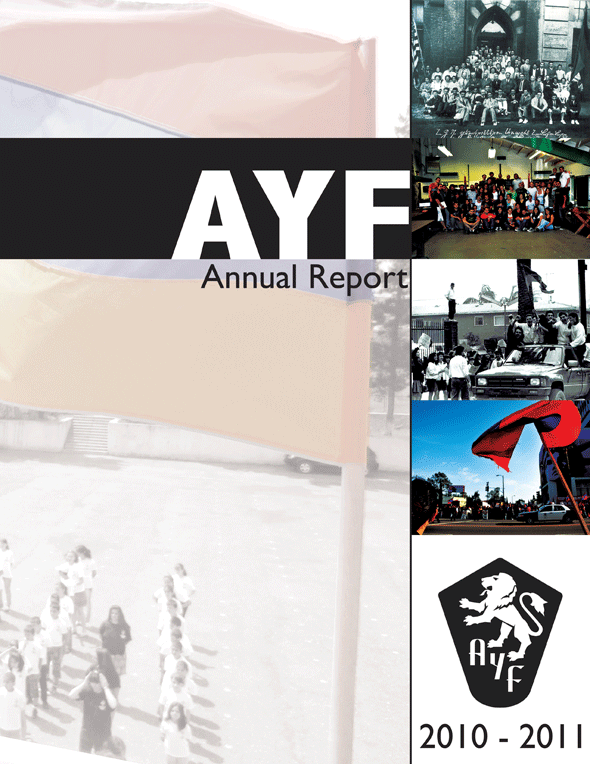 Along with reports from previous years, the 2010-2011 AYF Annual Report is now available online at www.AYFwest.org. Physical copies of the report will also be sent to supporters and passed out at community centers and events throughout the western region. Founded in 1933, the Armenian Youth Federation is the largest and most influential Armenian-American youth organization in the United States working to advance the social, political, educational, and cultural awareness of Armenian-American youth. Many of us are beginning to think that February is an empty month in the Armenian calendar. Or that Saint Valentine’s Day is the only significant holiday. However, the idea that this is traditionally an Armenian festival is incorrect. In fact, for those unaware, the Armenian equivalent for celebrating love and affection between companions takes place on February 4th, under the Saint Sarkis (Սուրբ Սարգիս) name. More to the focus of this article though, is the commemoration of the Battle of Avarayr (Ավարայրի ճակատամարտը) on February 16th. This battle came to be out of necessity for continuity as a People: the Persian Empire wanted Armenians to abandon their faith. Their king, King Yazdigerd II, loathed Christianity and wished to destroy their individuality on the whole. Those who grew up going to an Armenian school have undoubtedly heard of Vartan Mamigonian (Վարդան Մամիկոնեան), and the epic battle during which he led the Armenian forces against a vastly outnumbering Persian army. Vartan, who was later canonised, was of noble lineage whose family tree includes Saint Gregory the Illuminator (Սուրբ Գրիգոր Լուսավորիչ). His father, however, was General Hamazasp (Սպարապետ Համազասպ) and, like him, Vartan became a soldier. He was a highly respected soldier at that, with integrity and wisdom: in addition, he had a strong Christian belief. The fact that he had Holy Communion with his soldiers; prayed, recited the 23rd Psalm and shared food with them, all prior to the commencement of battle, can attest to these. It was in this period immediately before the battle when Vartan was quoted as saying “We have served until now mortal kings… now it is time to serve the immortal king”. Vartan’s speech instilled inspiration and stimulated his troops towards defending not only their religion but also, in the wider scheme, their culture and entire way of life. 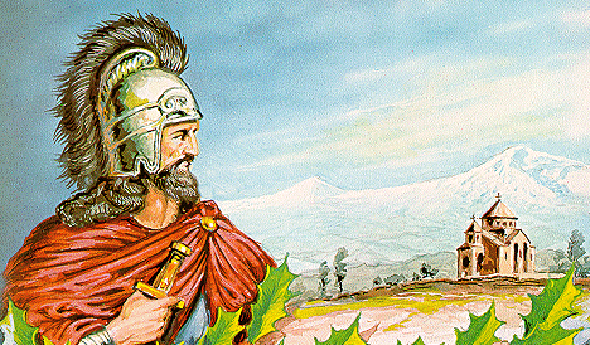 Finally, the battle commenced on May 26th, 451 AD, on the Avarayr Plain (Ավարայրի Դաշտ). Vartan Mamigonian led 66,000 Armenians against an army outnumbering them almost 4-to-1 and consisting of war elephants too. Many Armenian martyrs were made that day – Vartan Mamigonian included – but, while the battle was lost, their sacrifice was not in vain. The Persian king, astounded by the valour of his opponents and acknowledging that this could only stem from their passion for their beliefs, developed a great respect for Armenians and put an end to his attempts at converting them. In this way the Armenians of the time lived on in relative peace, their traditions safeguarded for another period. We’ve suffered countless episodes such as this where, for one reason or another; our rights, customs, traditions, faith, freedom and uniqueness have been challenged. We’ve endlessly endured stiff oppression, but, as a brilliantly proud and zealous People, we’ve largely staved off assimilating. 1600 years have since passed, our identity all the while maturing, and we’ve spread across the globe achieving many things. As a persevering people we must continue to uphold our identity in whichever corner of the world we find ourselves. Wherever we may be and whatever we pursue we all share a common history: a story of constant struggles for peace which unites us and enriches our lives. As Hrant Dink, Serj Tankian and Monte Melkonian (to name a few) have done, by digging deep towards our roots we can find and adopt the same spirit with which Vartan’s soldiers fought in defending our heritage. On Sunday, February 12, the AYF and People for People Foundation are teaming up to host a free, one-time-only celebration featuring Armenias award-winning Karin Folk Song & Dance Ensemble. The free public event will be held from 6:30-10 PM in the St. Marys Armenian Church lot (500 S. Central Ave., Glendale, CA). 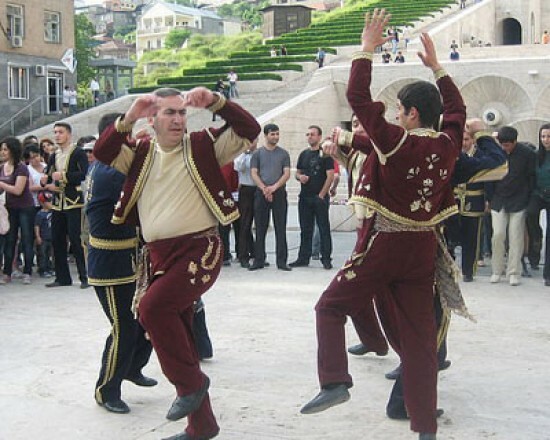 Under the guidance of the leader of the ensemble, Gagik Ginosyan, and members of the group, attendees will have the chance to join together and directly take part in the traditional Armenian dances of their forefathers. The Karin Folk Ensemble has spent the last ten years collecting the lost traditional dances of Armenia, passed down through generations by common people in villages and towns throughout country. They have been teaching and performing these dances in Armenia, Artsakh, Javakhk, and throughout the world, winning countless awards and accolades in the process. Most recently, the group won first place at the 14th Annual World Folk Dance Festival in Palma De Mallorca, Spain. In addition to celebrating unity through dance, attendees will be able to enjoy booths, food, and live music throughout the night. Members of the ensemble will also be discussing the meaning of each dance for the audience, many of them with Western Armenian roots. They will be providing insight into the Armenian heritage embedded in the traditional choreography. Sundays event is being held on the occasion of the traditional Armenian holiday of Trndez (or Tyarndarach), which is celebrated every year on the eve of February 14th . St. Marys Armenian Church will host an official observation of the holiday for the entire community the following evening, Monday, February 13. Participants of all ages are encouraged to attend this community celebration and reconnect with the deep-seated roots of Armenian culture. The Armenian Youth Federation is dedicating 2012 to the Armenian Freedom Fighter (Azadamardik), announced the organizations Western US Central Executive Thursday. As part of its multi-faceted campaign, the AYF will be organizing a series of events and activities aimed at raising awareness about Artsakhs liberation struggle and supporting the freedom fighters who made it possible. A central component of the year-long effort will be raising money to send to veterans of the war in Armenia still suffering from combat injuries. Due to neglect from the authorities, many of those wounded or disabled in the line of service remain in dire need of medical care and assistance. 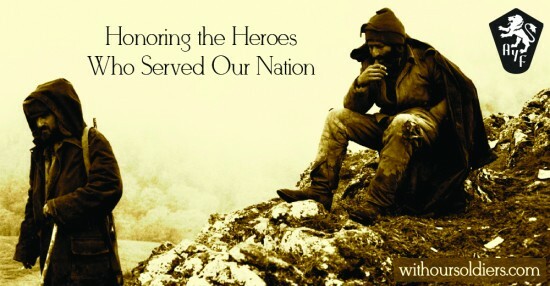 Local fundraisers and events will be held throughout the year to finance assistance to as many veterans as possible. A successful Holiday Breakfast held by the South Bay AYF in December was the first such event and will be followed by various others, including a large-scale benefit concert due later in the year. The AYF has also launched a website for the campaign (www.withoursoldiers.com), which will soon feature educational material, online videos, profiles of freedom fighters, a donation portal, and details about upcoming community events. Given the almost daily threats of renewed hostilities from Azerbaijan and regular gunfire across the ceasefire line, the AYF will also be engaging in grassroots activism aimed at ensuring Artsakhs security. Through action alerts and advocacy efforts, it will seek to work with the entire to community to push more strongly on the cause of Artsakh.